I began writing this blog almost a year ago. The original idea was to build off a popular post where I came up with my OWN list of the most haunted locations in the country, state by state. 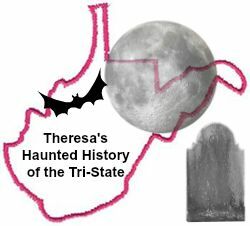 I had high hopes that I could do the same on a state level---take each of West Virginia's 55 counties and narrow down one location per county that would be recognized as being the perfect representative of that county's haunted history. As you can see, that idea has not come to fruition, lol. It proved to be just a little too daunting for me. I might revisit the idea in the future, but for now, I thought I would take on the more manageable task of just picking my TOP 5 FAVORITE HAUNTS in the state. The criteria for this post is a little different---I tried to pick locations whose haunted reputations are well known throughout the Mountain State and beyond. For example, each location listed here has been featured as part of at least one television show. 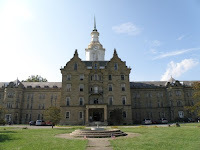 There are tons of great, underrated haunted locations and ghost stories throughout West Virginia, but I feel these ten are universally recognized. Please let me know in the comments what YOUR top picks would be! 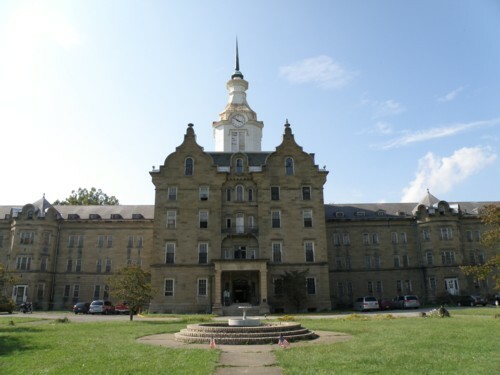 The West Virginia State Penitentiary at Moundsville is one of MY personal favorites on this list and along with the Trans-Allegheny Lunatic Asylum, seems to always find its way on those top 10 lists of most haunted places in the country! 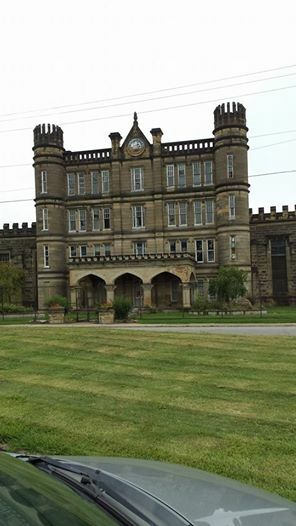 Construction on the penitentiary began in 1866 and it continually housed inmates up until 1995. Over the course of its 130 years, the prison saw two major riots, numerous suicides, plenty of violence and murder, and more death from disease than you could ever imagine. With all that dark history, there's no wonder people think this location is haunted! The most popular ghosts associated with the old prison include the infamous shadow man who has shown up in photographs, a presence in the indoor recreational area known as the Sugar Shack, and the spirits of infamous inmates Red Snyder and R.D. Wall. Ghost and history tours are available, as well as private and public investigation opportunities. No list of famous West Virginia hauntings would be complete with a mention of Lake Shawnee, location in the southern part of the state, near Princeton. I first became aware of Lake Shawnee when it was featured on Scariest Places on Earth, a television show that featured hauntings and showed everyday people being taken to these places and told about their history. While there is a lot of misinformation and a lot of information that cannot be validated nor denied regarding this location, it still is a spooky place! In recent years, it has been the subject of numerous national articles. The small amusement park opened in 1926 on land marred by an Indian massacre and some say its location doomed it to a cursed existence. Numerous deaths are said to have occurred during the park's operation, including several drownings and a little girl killed when her swing struck a parked delivery vehicle. Today, visitors to the area report that the apparition of a man can be seen in one of the Ferris Wheel seats, and the little girl, wearing a pink dress, can be seen either in full apparitional form, or in the form of a cold spot or orb near or on the swing ride. Along with the West Virginia State Penitentiary at Moundsville, Dr. Grimes' Dental Office is probably my favorite on this list. 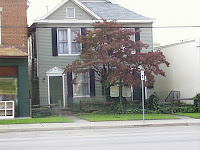 It is located in Huntington and was the subject of a Dead Files episode a few years back. Over the course of several years and several investigations, I've put a lot of personal research into this location and have a very fond attachment to it. 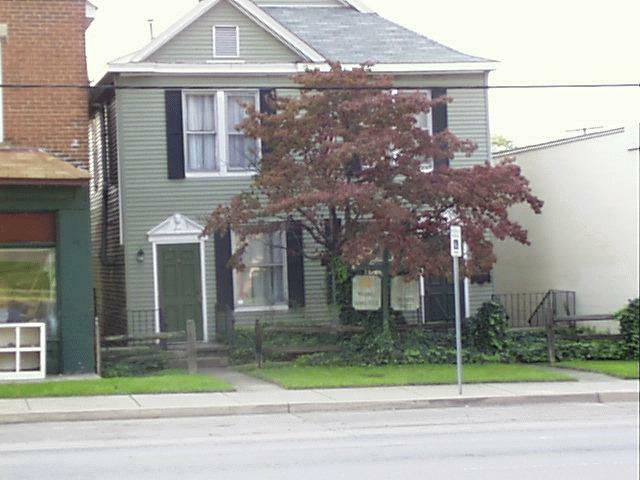 The dental office is housed in a former duplex, built shortly after the turn of the last century. It was mostly used as housing for men working for the railroads, but in the 1920s, it was home to a young lady named Lavina and her family. Lavina's apparition had been spotted numerous times, along with evidence that she might be accompanied by something a little darker. Lavina died under rather mysterious circumstances in the home and it is believed that those circumstances may have been sinister. Luckily, it now seems that Lavina's soul is at rest, yet this location is still one of my top favorite haunts of all time. 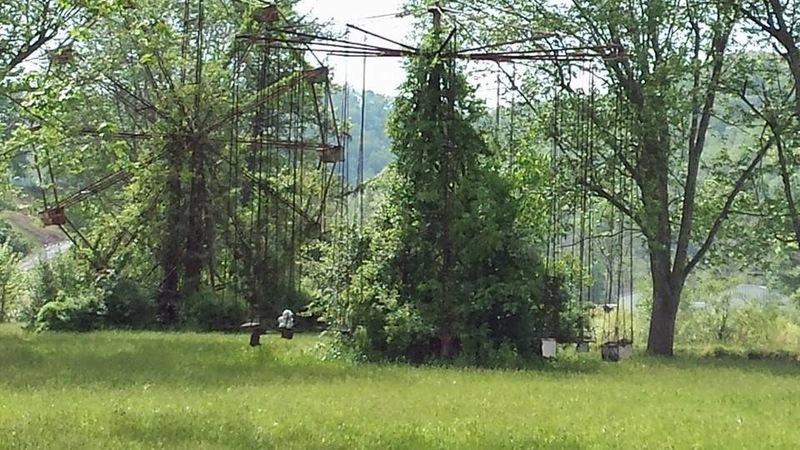 With a list including a prison, an insane asylum and a spooky amusement park, I felt obliged to include a cemetery...and Parkersburg's Riverview Cemetery is definitely an iconic West Virginia haunted burial ground. A staple on Susan Sheppherd's Parkersburg Ghost Tours, Riverview Cemetery is home to several different legends, including sightings of a hunched man wearing a black trench coat. The phantom, which has been spotted in broad daylight AND long after the gates lock for the evening is believed to be Captain George Deming, who once lived near the cemetery. He is seen standing near his own grave and is believed to be mourning a lost child buried close by. The most popular legend of the cemetery, though, is undoubtedly the Weeping Woman. The Weeping Woman is a carved statue standing watch over the Jackson family plot and many believe that she walks the cemetery at night, weeping for lost family members. It is also said that those who come to the Weeping Woman with an unselfish wish will find that wish granted! Many women who have come and touched the statue have found themselves to be pregnant shortly thereafter! I know this list is a little light---I originally had intended this to be a Top 10 list, but decided that I'd break it up a little. So...don't fret! In the coming months, I'll be posting even more most haunted lists from right here in West Virginia, and probably Ohio and Kentucky as well! And as always, you can always check out my Haunted West Virginia Page for more great Mountain State locations! We recently heard from Dr. Grimes and it seems he is planning on writing a book about all the experiences!